The architecture of Le Mount Stephen Hotel is given a modern twist via lighting. 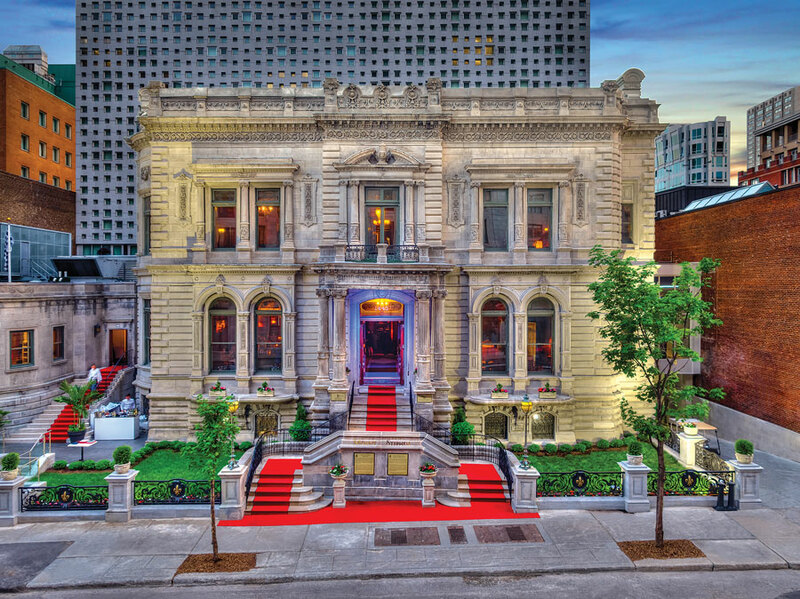 A magnificent mansion that once served as home for noted Canadian businessman and philanthropist Lord George Stephen has been adapted to become Le Mount Stephen Hotel. 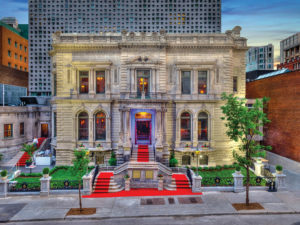 Owned and managed by locally based Tidan Hospitality and Real Estate Group, the 90-key property debuted last May after being shuttered since 2012 to undergo transformation to a hotel following its decades-old operations as a private club established in 1926. 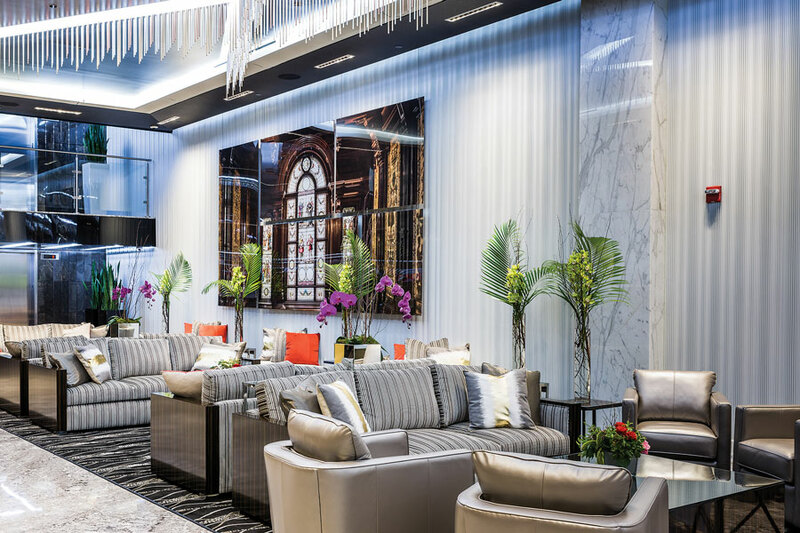 The hotel, part of a Tidan portfolio of some dozen hotels, including Ocean Sky Hotel & Resort in Ft. Lauderdale, FL, combines modern design while retaining the building’s exterior/interior architectural heritage from the 1800s. A member of The Leading Hotels of the World, the independent property has 69 guestrooms, 16 suites, four sky-loft suites and one royal suite, reflecting financier George Stephens peerage title as First Baron Mount Stephen. 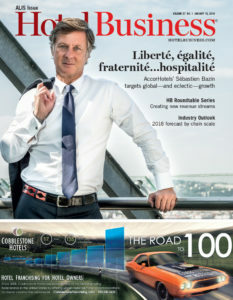 According to Antoine Naoum, the property’s general manager, the hotel’s guestrooms are located in a newly built tower behind the mansion and were brought to fruition by architects Lemay and Provencher Roy & Associates, while the historic house incorporates the hotel’s main entrance, private meeting and dining rooms, and Bar George, a restaurant and bar. The GM indicated the hotel is positioned to attract the luxury leisure and corporate markets, as well as business travelers looking for a more boutique/lifestyle experience. In creating the project, ownership had to work with the city’s landmarks commission to ensure the house, once occupied by Stephens, who is considered the financial brains behind the creation of the Canadian Pacific Railway, remained intact. In 1971, the residence was recognized as a National Historic Site of Canada by the Historic Sites and Monuments Board of Canada. Then in 1975, the Mount Saint Stephen Club was classified as a “heritage immovable” by the Ministère de la Culture et des Communications du Québec, benefiting further in 1978 by the creation of a heritage protection area. In 2004, the property was recognized as an “Immovable of Exceptional Heritage Value” by the City of Montréal. Naoum said among the challenges of melding old and new was creating a smooth flow for guests to transition from the house to the added hotel space, which Lemay accomplished. Each of the guestrooms is equipped with smart technology that gives guests flexibility by allowing them to control aspects of the space, such as lighting, temperature, curtains and shades via a touch panel. Other guestroom features include a multifunctional toilet and a rain-forest showerhead in the bathrooms. 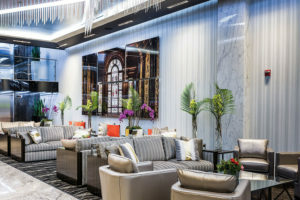 The $25-million renovation/construction has helped draw the community to the hotel as well, with Bar George and its restaurant seeing robust local traffic, the GM indicated. “They come to explore the mansion and its beauties [and have driven the]success of Bar George and the hotel services,” said Naoum, noting the property has had a “wow” effect on both guests and locals.